It’s been over a month since I’ve posted any of my work to my website. The first quarter of 2017 was the busiest I’ve ever been in ten years and I’m so grateful to all my clients with trusting me with their memories. And then there came new equipment to learn and new computers to install, a new employee to train and priorities were just redirected. 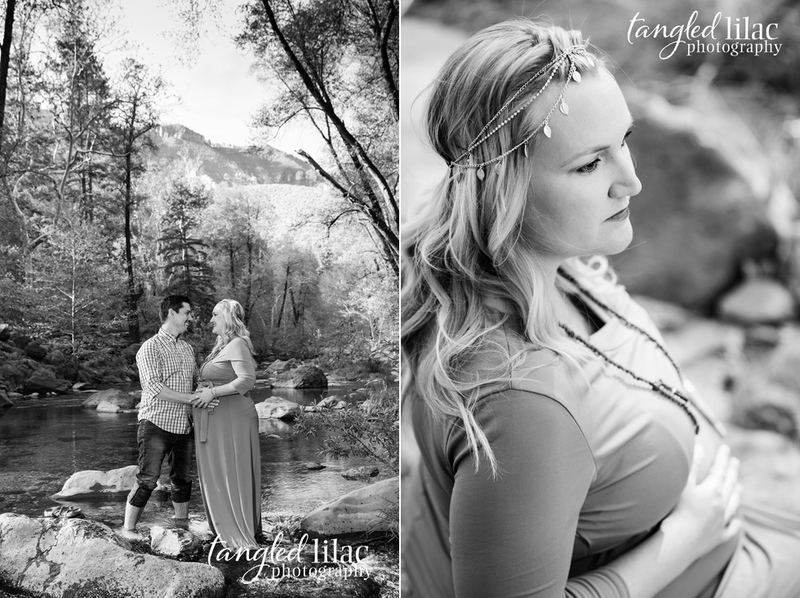 Being a full-time photographer for the past ten years in Flagstaff has been a blessing. But, I’m always amazed at how much time I spend doing other things than actually photographing. When I had college photography interns, that was their greatest disappointment, they were not using their camera. I crunched the numbers one afternoon and found out that I only click my camera shutter about 12% of my working time. While it wasn’t a surprise to me, seeing that small number stare back at me was an eye-opener to how I spend my time. 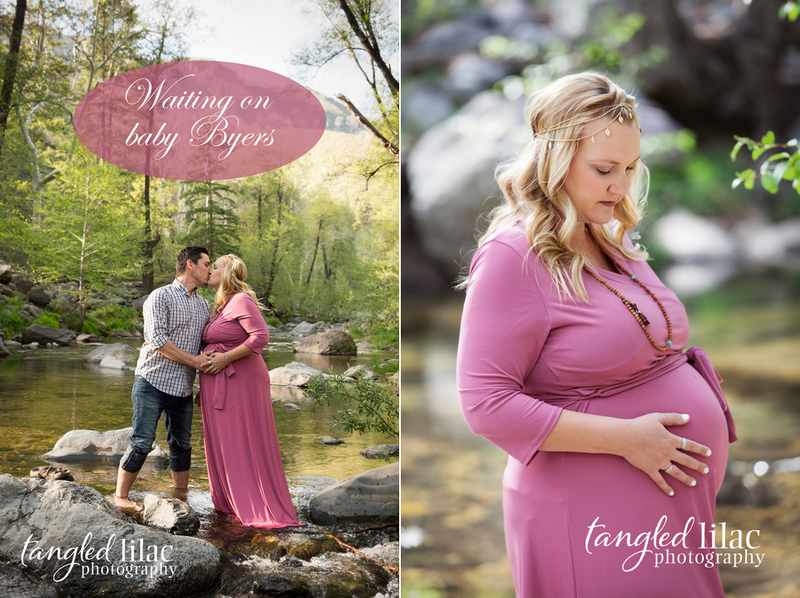 However, I’m getting into a rhythm now and I wanted to kick off my return to posting with one of my most cherished clients, the Byers Family. 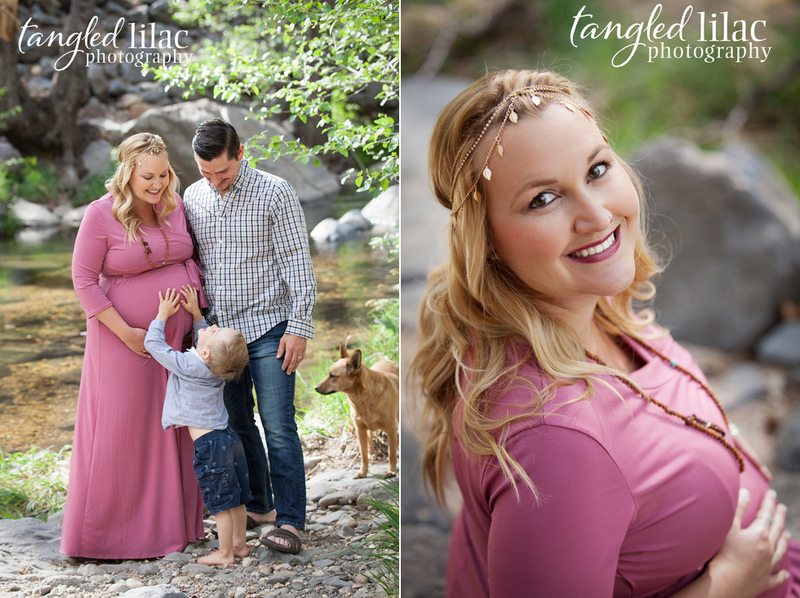 Amee chose the gorgeous Oak Creek Canyon as her backdrop and it was so fun watching Cohen play in the creek while we did her photos. If you’ve never been to Oak Creek, I highly recommend you go, but on a weekday. The secret is out about this enchanting slice of Arizona and the weekends are crowded and chaotic. 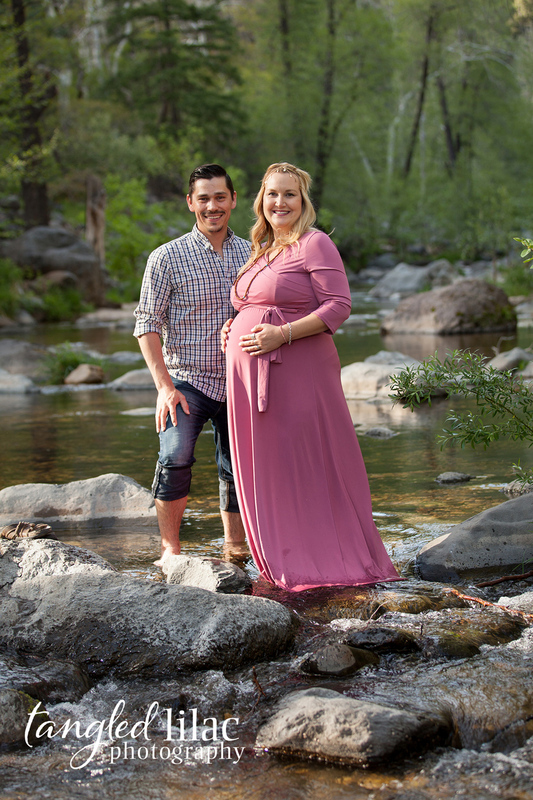 Amee’s rose colored maternity gown was gorgeous and her gold headband enchanting. Amee has always been very stylish! Amee was even brave enough to step into the creek for a few photos despite the creek being freezing! (Snow melt is very cold, lol). Thanks for being so adventurous Amee!